A strong, inviting circle of friends can make the greatest difference in each of our lives. LIFE youth ministry strives to foster lifelong friendships, cultivate kindness, build each other up, grow hearts of service, and mature in our understanding of and faith in Jesus, and what it means to be a Christian — all under the guidance and leadership of dedicated mentors. We shatter the “church is boring” stereotype and celebrate life. 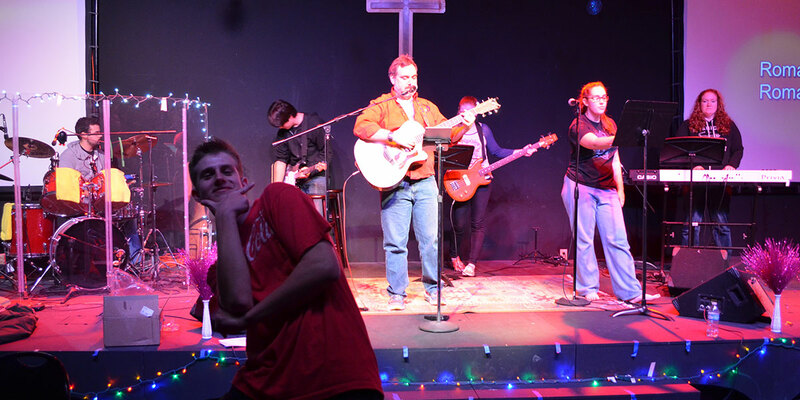 LIFE Youth Ministry is a friendly, fun, challenging, and exciting atmosphere — filled with games, music, skits, laughter and an important message that challenges us all — no matter how new or mature we are in our walk. Middle School LIFE (7th-8th grade) meets Sunday Mornings during the second worship service from 10:15am to 11:30am. Senior High LIFE (9th-12th grade) meets Sunday evenings from 6:30pm to 8:30pm. These groups meet on Sunday morning at 9:00am at the church for Bible study, interaction, prayer requests and accountability. These groups will meet and cover different topics, books, etc.This group is designed to meet the you where you are spiritually and challenge you to move to the ‘next level’ in your growth.